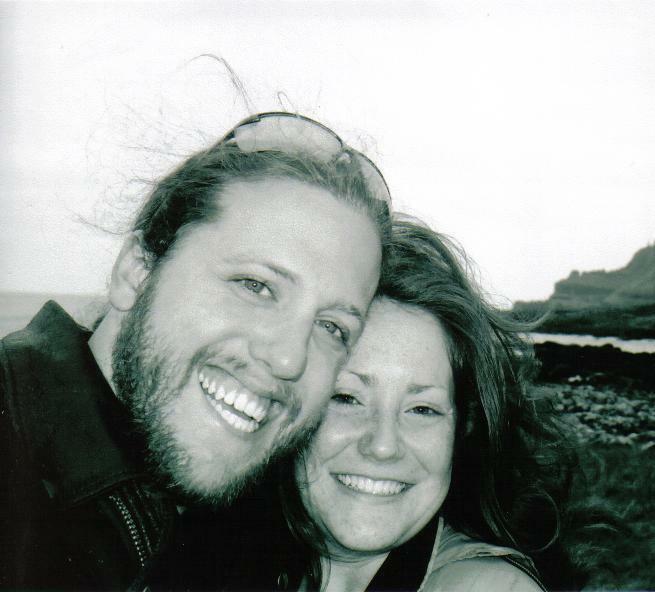 Giant’s Causeway, 2005. Brian flew to N. Ireland for a weekend to ask me to be his girlfriend. Ten years ago, I left the country by myself for the very first time. Nothing would ever be the same. I love to look back at pictures, emails and diary entries of my time studying abroad and reflect on how much I grew as a result of that experience. I was, and still am, struck by the dichotomy of dependence and self-reliance. I know I was able to spread my wings because of the love and support of family and friends but my inner strength kept me aloft 3,000 miles from home. That semester in Northern Ireland will always be the beginning of my story because it was a series of endless firsts– my first time traveling solo, my first time outside North America, my first time living in another country, my first time having male roommates, my first time learning train schedules, my first time being in the minority, my first time backpacking, my first time questioning many of my beliefs … the list goes on and on. Travel to any location and for any duration of time opens you up to new possibilities, and I think that’s why people develop a ‘travel bug’ or ‘wanderlust.’ You begin to crave that feeling of losing yourself to a big adventure, learning about the world, pushing back the limits of your comfort zone and recognizing how mutually significant and insignificant everything is in the grand scheme of things. For me, the experience is always humbling, instructive, moving and life changing. I could never have anticipated that ten years after that initial journey I would be married to my high school sweetheart and living on the West Coast. It’s been one adventure after another, and I wouldn’t trade it for the world. My husband, who has been my travel companion on many of these trips, asked if we could scale back the international adventures to every other year and use the off-years to explore more of the United States and Canada. Having met my goal of visiting 30 countries by the time I turned 30, I was open to renegotiating our travel plans moving forward with one catch. I wanted one last international adventure in 2015. A ten-year anniversary trip. A return to Ireland. And because I have the best husband and friend in the entire world, he said yes. We booked our flights for a two-week adventure back in the spring but my itinerary planning has been constantly interrupted by our move out west, our house hunting and my job searching. I finally came up for air and wanted to share the current draft of our itinerary, which has us flying in and out of Dublin. I’m too sentimental not to return to a few places, but I’m excited that most of the trip will be to places neither of us have explored. We have two weeks– we’re renting a car and seeing how it all works out. I know it’s not enough time. I know we will only get a taste of each place we visit. I know things will be different from how they were ten years ago. I know we will get lost and off-schedule. But, I also know I will cry with happiness at least every other day. I know I will be overcome by the people, the beauty and the memories. I know I will experience every incredible moment with my favorite person in the whole world. I know I will enjoy the craic. I can’t believe it’s been ten years. I can’t wait to return. Erin Go Bragh. We can’t believe it has been 10 years either since we got that phone call that you did not get off the bus at the right place, your luggage wheel was broken, and you had to walk in the rain before some strangers picked you up and delivered you to the University of Ulster!! A nightmare for us too!! But look how wonderful it turned out! This will be another of your grand advertures!